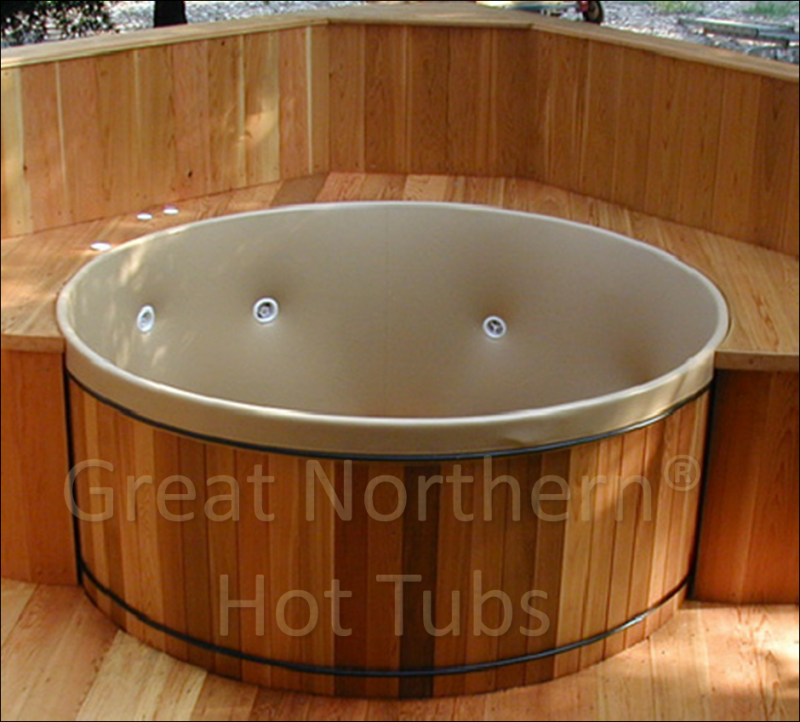 Round spas and hot tubs have less surface area than square, rectangle or octagon spas. Less surface area = less heat loss = lower cost of operation. Our round Rubadub Tub® has a standard depth of 44" and is available up to 6' deep! Definitely has more leg room than a fiberglass molded spa. Acrylic spas only offer a small footwell area.